We owe a great debt of gratitude and thank you to famed actress, animal activist and hotelier Dorris Day. It is because of her that Carmel By The Sea is dog gone crazy and super dog friendly. Ms. Day owns The Cypress Inn in Carmel. It’s Connie and my favorite hotel to stay at when we are in town. The hotel has a doggie menu, at the reception desk a huge clear glass vase is filled with dog biscuits. Luxe beds and a spa menus are available for the Cypress Inn’s guest’s dogs. The lobby is choc filled with dogs large and small. All kinds of different breeds led by their traveling owners. On a recent visit we got comfy in a couch and snuggled by the warmth of the fire place enjoying some live jazz in a small lounge at the Cypress surround by guests and their dogs. Their is a fantastic bar and restaurant just off the lobby and and the walls are adorned with photographic art and movie posters and memorabilia from Dorris Day’s Hollywood movie days.Many of the attractive tiles embedded in the walls are architect Julia Morgan’s leftovers from her Hearst Castle project. Carmel is like no other town in California. Home of Clint Eastwood and Robert Redford’s daughter, it has fantastic eateries and restaurants. Posh clothing and home furnishing shops. Top of the line antique shops. And, some of the best art galleries in the nation. To wit: The Weston Gallery, celebrating their 25th Anniversary. I’ve visited the Weston several times and the show on this recent trip was astounding. Watkins, Adams, Bullock, Cole and Edward Weston, Burnhard and Karsh to name a few. The Weston’s holdings are tremendous, its like enjoying face time with the great photographers or our time in a mini museum with no stanchions. Visiting Carmel is a treat. 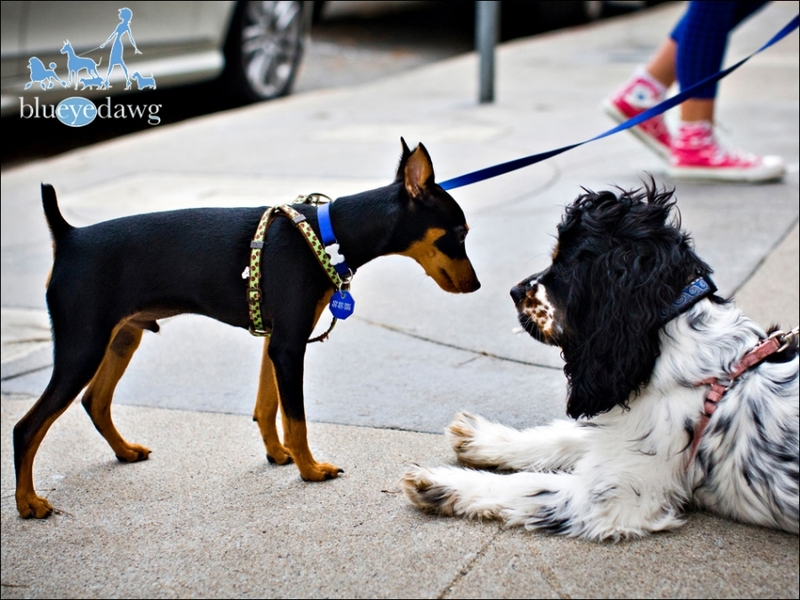 A walk down Carmel’s main street, Ocean Avenue provided me with so many opportunities to meet and greet pet owners. I have to say that I am sad though. The weekend before we got there was the Poodle Parade. It was 400 strong. Oh well, I’ll catch that next year. For a pet photographer or any type of photographer, photographing in Camrel is a right of passage. Carmel Beach, were Ocean Avenue meets the Pacific Ocean is where all the locals dogs walk their owners in the morning. So after we hit up Carmel Belle (an amazing organic cafe) for some intense and delicious organic coffee we headed down to the sand. 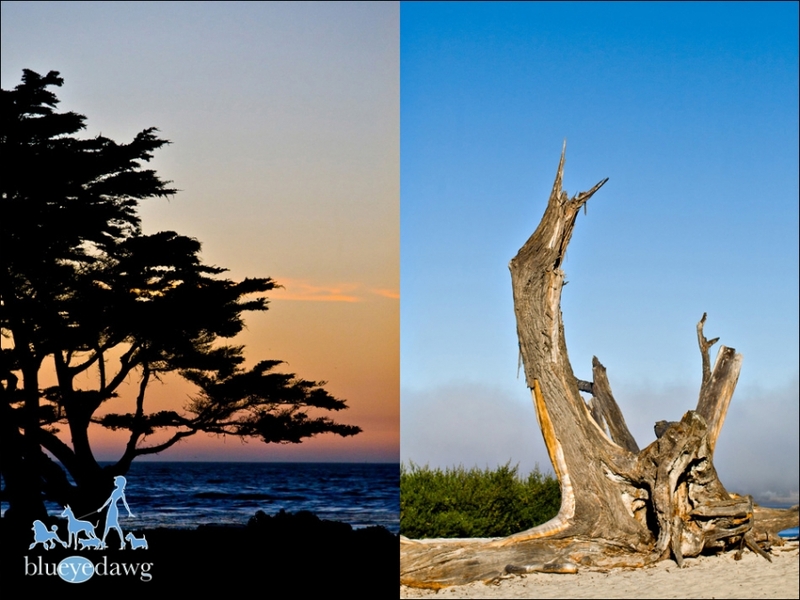 Below: left: A Cypress tree at sunset – Alisomar beach. right: Before our morning stroll at the entrance of Carmel Beach. Funny thing is I don’t remember ever seeing a pile of dog poo anywhere in the city. Carmel is extremely clean. Almost every store had doggie treats and a water bowl near by. Dogs take over the streets on Ocean Ave., the main street in Carmel By the Sea. On our way up, to Carmel we stopped in Moro Bay for some clam chowder and ran into this gorgeous Australian Shepard pup on the docks. A picturesque morning on the leash free Carmel Beach. This little cutie was on vacation from Texas. We met up with her at the famed and luxurious Bernardus Inn in the Carmel Valley. A rare breed of sand-dog. This is Bisou (which means kiss in French) a very well loved Maltese. I snuk these images of Charlie in. He’s a pampered Habanese of our freinds from Los Angeles. This lovely Spaniel Betsy belongs to a very cool couple that had a film premiering at the Carmel Art & Film festival. While walking down Ocean I spotted this Rat Terrier in this young ladies back pack. A very loved and slightly spoiled Labradoodle. The two images below were taken left: in the Carmel Valley, and right: in the Salinas valley. No you are not seeing things. This Standard Poodle had a cool color job. She was sporting some blue paws. A sleek and mini Italian Greyhound on Carmel Beach. A Rhodesian Ridgeback in training. His master is out of camera distance commanding him to stay. I think this gal is an Akita but I’m not sure? This is a teaser for my next mega post. As soon as we hit the beach, we met up with three local couples who all had Scottish Deerhounds. These there Scottish Deerhounds were all from the same litter, brothers and sisters. I’ve been told that this breed is extremely rare and only about 27 litters in the U.S. last year. This was their big day on the beach. They were celebrating their birthdays together on 10.10.10! 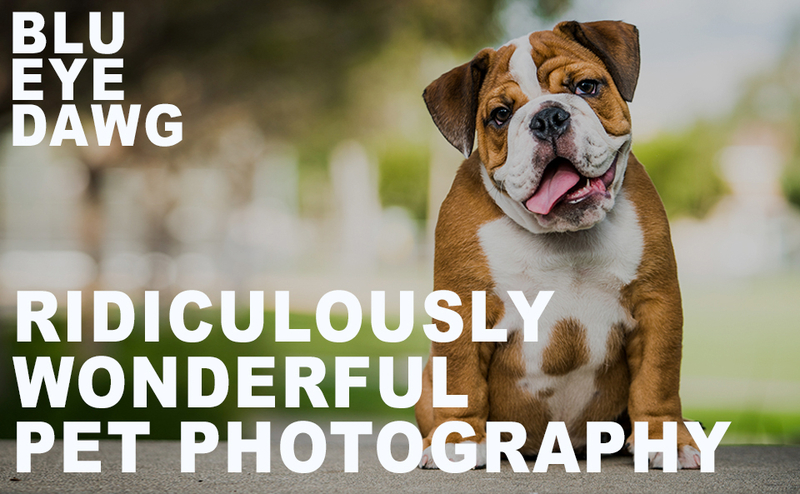 @blueyedawg.com Ridiculously Wonderful Pet Photography 949-494-5084|ProPhoto Photographer Template by NetRivet, Inc.